This grading item, consisting of two classes, is used only for grading incidental to the construction of pavements on improvements that have been graded under a previous contract. This item is provided in addition to the required item of subgrade compaction. 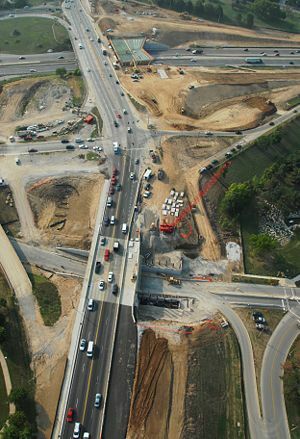 It provides for the fine grading and shaping necessary to complete the finished roadway. The quantity is measured along the centerline of pavement and includes both shoulders. Divided lane improvements require double quantities. This work consists of preparing the earth subgrade for the surfacing and shoulders by fine grading, and shaping the existing roadbed of a previously graded roadway, and shaping fillslope, foreslope and ditches as required to complete a finished roadway conforming to the typical section. This item includes all work included in Subgrading and Shouldering, Class 1 and also includes the construction and final shaping of earth shoulders. Description (for Sec 212.1). As specified. Subgrading and Shouldering, Class 1 (for Sec 212.1.1). As specified. Subgrading and Shouldering, Class 2 (for Sec 212.1.2). As specified. Construction Requirements (for Sec 212.2). As specified. Method of Measurement (for Sec 212.3). As specified. Basis of Payment (for Sec 212.4). As specified. This page was last modified on 8 June 2016, at 14:25.